Sierra Leone’s Foreign Affairs and International Cooperation Minister, Dr Samura Mathew Kamara on Tuesday 5th November, told staff at the Sierra Leone Embassy in the People’s Republic of China, that though a small country, Sierra Leone is raising its voice in international world affairs, as well as its legitimacy in international diplomacy and cooperation. 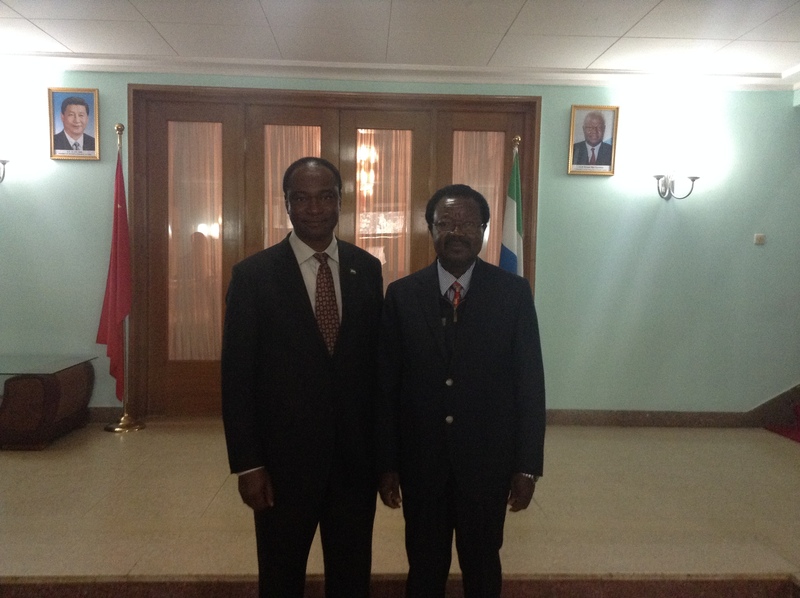 Minister Kamara said his visit followed an invitation extended to him by the Chinese Foreign Minister, as Sierra Leone has been provided with the opportunity to revisit her country’s perspectives of various international issues, more specifically the reform of the United Nations Security Council. Speaking about the strategic position of the Sierra Leone Embassy in China, the country’s top diplomat said, China is strategically with its second place in the world economy. 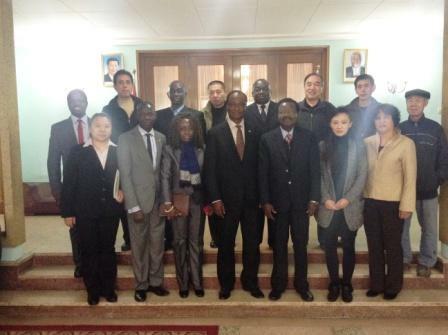 “And when China sneezes, lots of countries will catch cool” – says minister Kamara. Given the growth of China today, Minister Kamara said, people should not be surprised if the ministry’s major preoccupation in the new strategy is focused on how to strengthen the Embassy in the People’s Republic of China. Sierra Leone, he said has 19 Embassies “and they are not all of the same. Some are small, some big and others getting bigger, so we should adequately respond to that”. Minister Kamara, who returns to Freetown today 8th November, met with the President of the Export-Import Bank of China, Li Ruogu, the Chinese State Councillor, Yang Jiechi, and his Chinese counterpart, Wang Yi. The Director of Policy and planning, Ministry of Foreign Affairs and International Cooperation, Sulay Manah Kpukumu is accompanying the Foreign Affairs Chief.